9/7/2017 – Back in 1972 it was no trivial task to produce a book very quickly. Especially not a chess book, which required special diagrams for which there were no fonts. 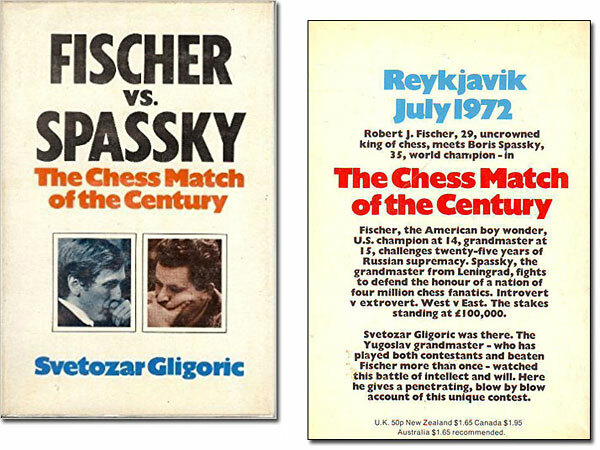 When IM and author David Levy came up with the idea of producing a book on the Reykjavik Spassky-Fischer match, and deliver 100,000 copies in New York within 96 hours of the end of the match, that sounded quite outlandish. But he managed to pull it off. It is an interesting fact that Levy and the author Svetozar Gligoric actually knew the final move and result of the match before Fischer. 9/1/2017 – The score was 11½-8½ for Challenger Bobby Fischer, who needed 12½ to win the title. In game 21 he had the black pieces and he played a Sicilian variation he had never before shown any liking for. He gained a distinct advantage, but then allowed Boris Spassky to sacrifice an exchange to get a drawn position. 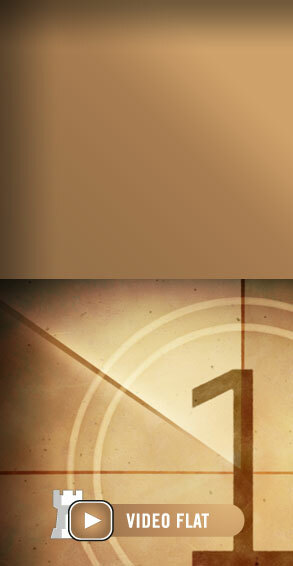 However, the still-reigning World Champion went on to blunder and finally lose his title. 8/30/2017 – The score was 10½-7½ for the Challenger, who needed 12½ to win the title. 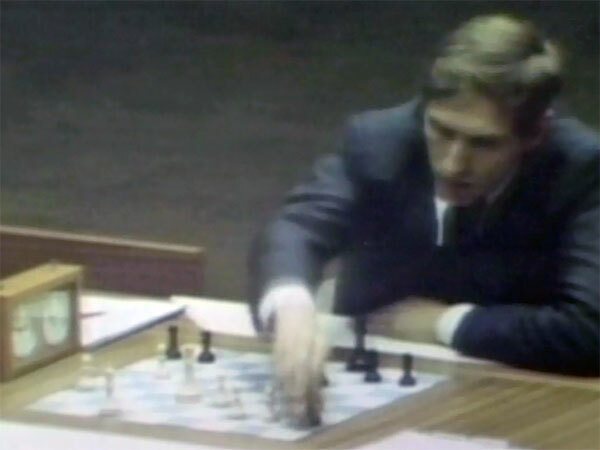 Was Bobby Fischer content merely to sneak in by split points? 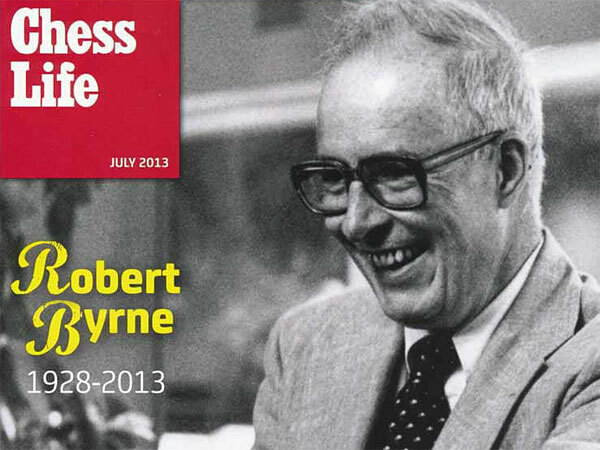 "I don't believe it — it's never been his style," wrote commentator GM Robert Byrne. 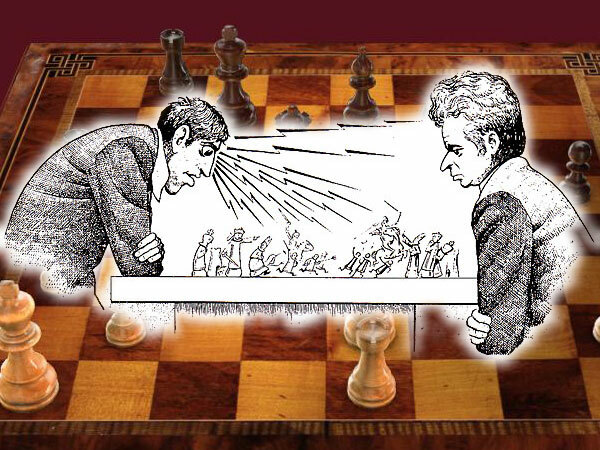 "I think the explanation for the draws is to be found in Spassky's improvements in his openings." 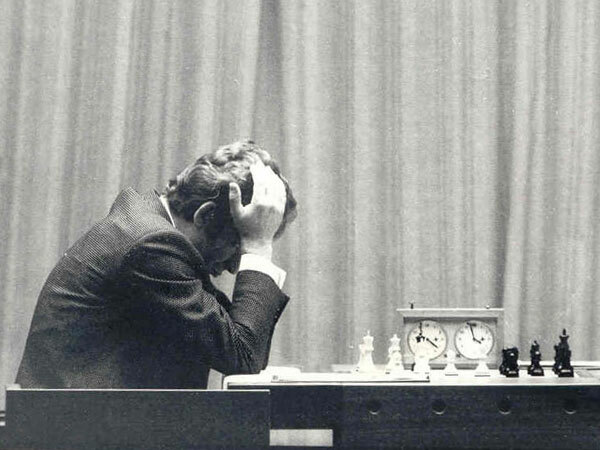 In games 11 and 12 Fischer kept coasting, but he also relaxed somewhat with social encounters. 8/25/2017 – After draws in games 14 and 15, Fischer still had a three-point lead in the World Championship match, and the Spassky side was getting nervous. The Champion was fighting hard but not getting any points. 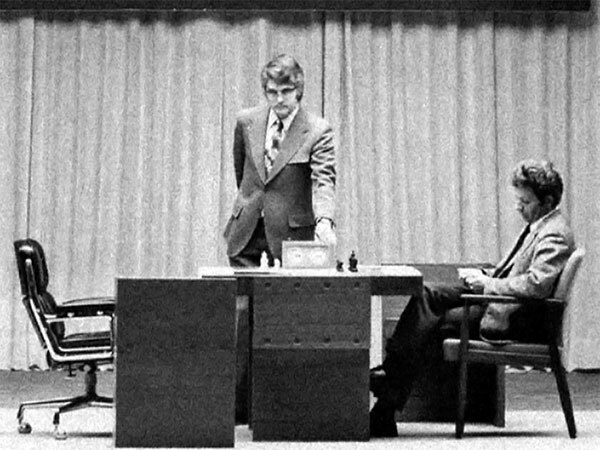 Suspicion arose that Fischer might be using secret weapons: hypnosis, devices planted in the lights or the chairs, and even perhaps assistance from an "IBM" (Russian for "computer" at the time). All this was formally investigated, while Fischer continued to coast. 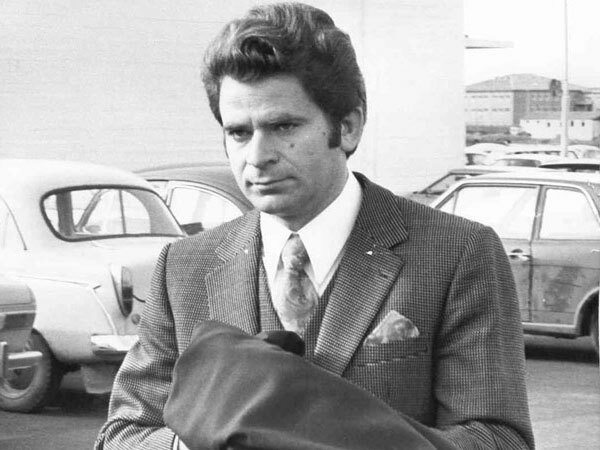 8/11/2017 – In game eleven of the World Championship match in Reykjavik, 1972, Boris Spassky had comprehensively outplayed the challenger in his favourite poisoned pawn variation of the Sicilian Defence. 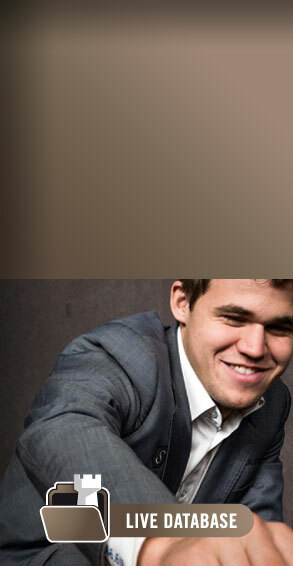 In game 12 he made a confident draw with black and Fischer realized his opponent was gaining ground. 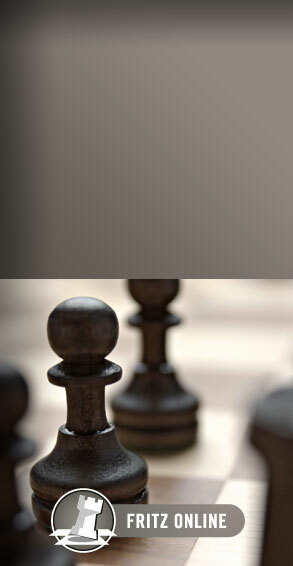 In the 13th game he abandoned the Sicilian and, to the chagrin of Spassky, played, for the first time in a top-level game – the Alekhine Defence. It turned into one of the most exciting battles of the match, and is beautifully annotated by GM Robert Byrne. 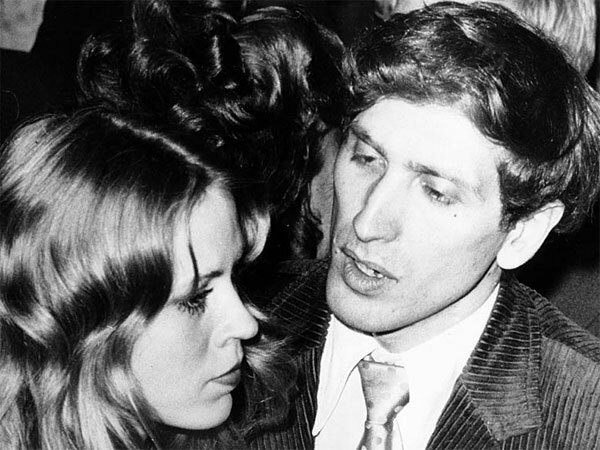 8/9/2017 – After ten games in the World Championship match in Reykjavik, 1972, the score was 6½-3½ for Challenger Bobby Fischer. 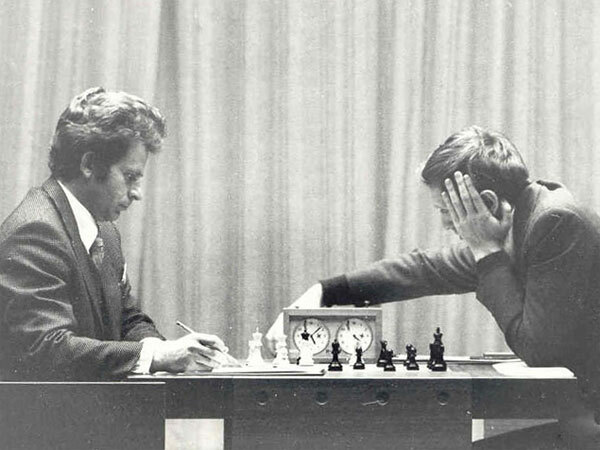 The match seemed virtually over – in the last eight games Boris Spassky had only managed to score 1½ points. "If it had been the best of 12 games, as in the Candidates matches, Spassky would already have been on his way home..." wrote Garry Kasparov in his Great Predessors book. In game 11 Boris took on the Poisoned Pawn variation of the Najdorf Sicilian, even though he had obtained a lost position in game seven. 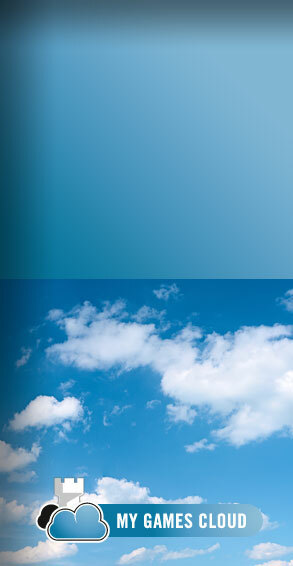 Take a look at what happened. 8/4/2017 – After the first two traumatic games World Champion Boris Spassky was leading 2-0 in the Match of the Century. 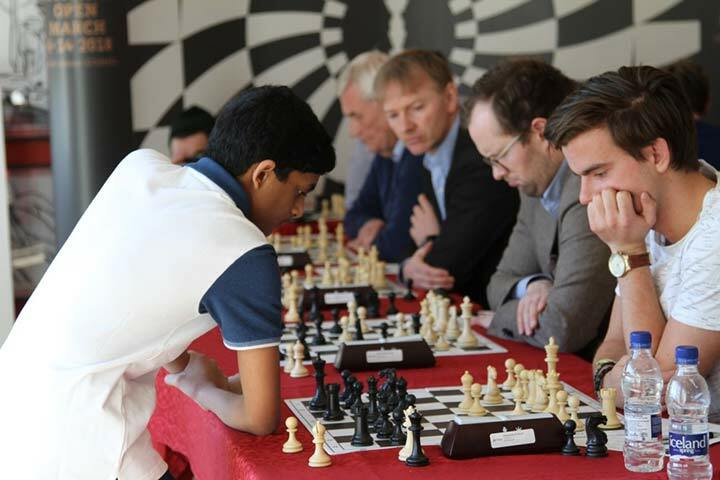 But then Fischer started to play and struck back: in the next eight games he scored 6½ points, chalking up a 6.5-3.5 lead. Games 8, 9 and 10 were quite spectacular, and are the subject of today's report. 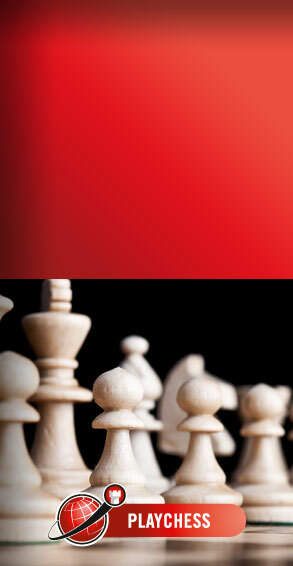 Younger players will also learn about "adjournments" and how exactly "sealed moves" were handled. Some were born after these practices were abandoned. 7/26/2017 – In the sixth installment of our series we offer readers a glimpse of what had been happening behind the scenes of “The Match of The Century”, especially in the Russian camp. 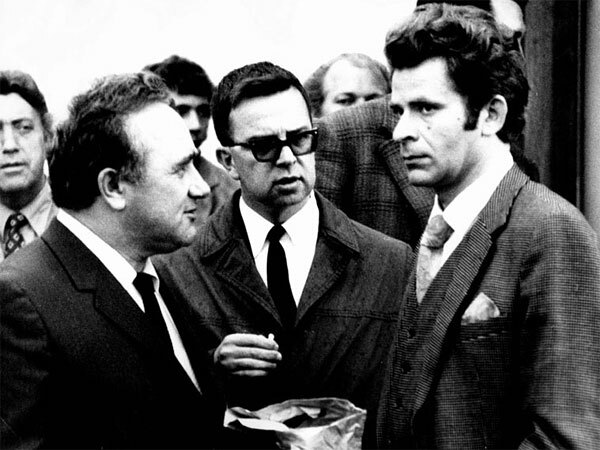 A tense Boris Spassky, cajoled by seconds Efim Geller and Nikolai Krogius, nevertheless failed to perform to the dismay of his friends and admirers. It’s also the story of a gamble that could have hurtled Bobby down the precipice in that fateful Game 6 of the match. A cautionary tale and object lesson for aspiring players. 7/21/2017 – After three games in the Match of the Century the score was 2:1 for the reigning World Champion. In game four Spassky played a well-prepared Sicilian and obtained a raging attack. 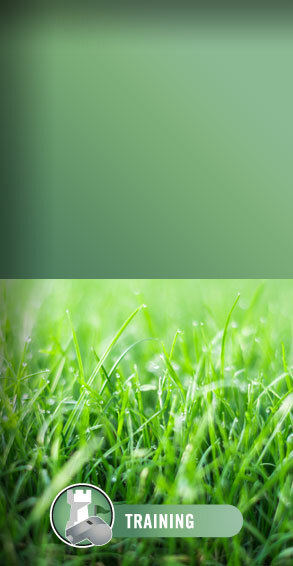 Fischer defended tenaciously and the game was drawn. Then came a key game, about which the 1972 US Champion and New York Times and Chess Life correspondent GM Robert Byrne filed reports. In Reykjavik chess fan Lawrence Stevens from California did something extraordinary: he manually recorded the times both players had spent on each move. 7/16/2017 – The challenger, tormented by the cameras installed in the playing hall, traumatically lost the first game of his match against World Champion Boris Spassky. He continued his vigorous protest, and when his demands were not met Fischer did not turn up for game two. He was forfeited and the score was 0-2. Bobby booked a flight back to New York, but practically at the very last moment decided to play game three – in an isolated ping-pong room! 7/11/2017 – On July 11, 1972, the legendary Match of the Century between Boris Spassky and Bobby Fischer finally began. 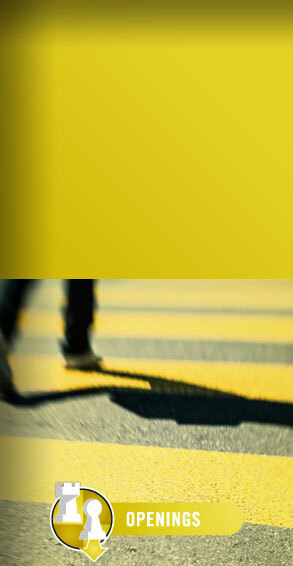 Fischer arrived late, due to heavy traffic, and was clearly distraught with the camera arrangements. To everybody's surprise he played a Nimzo instead of his normal Gruenfeld or King's Indian. The game developed along uninspired lines and most experts were predicting a draw. 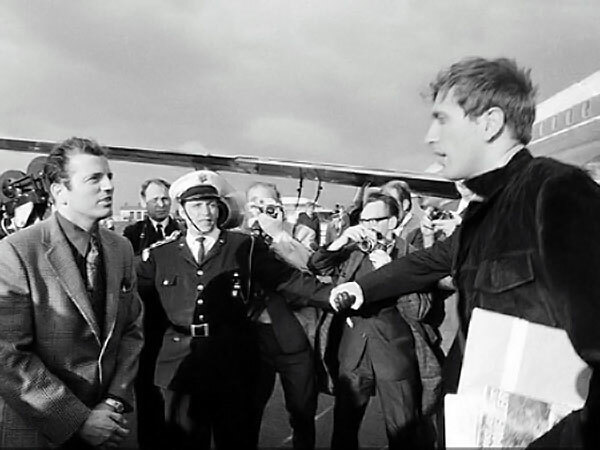 And then, on move twenty-nine, Fischer engaged in one of the most dangerous gambles of his career. "One move, and we hit every front page in the world!" said a blissful organiser. 7/9/2017 – The legendary Match of the Century between Boris Spassky and Bobby Fischer was staged in the Laugardalshöllin in Reykjavik. 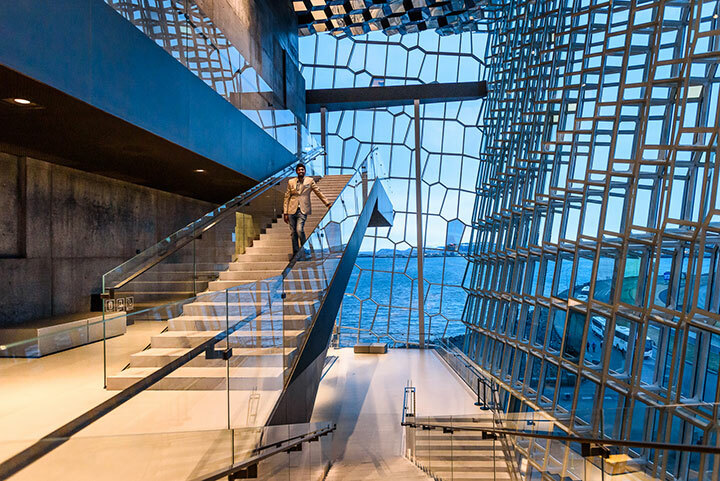 This is Iceland’s largest sporting arena, seating 5,500, but also the site for concerts – Led Zeppelin, Leonard Cohen and David Bowie all played there. 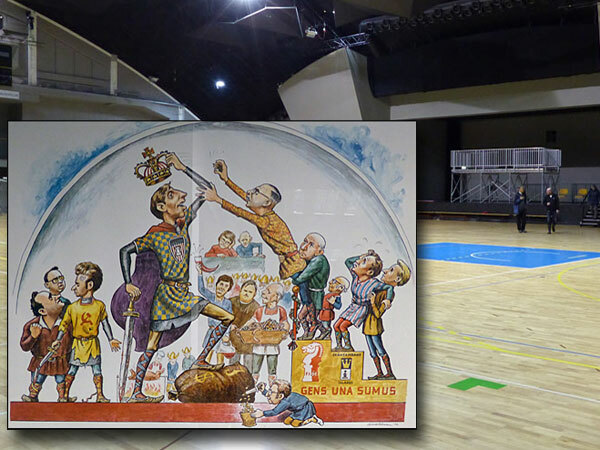 45 years after the Spassky-Fischer spectacle Frederic Friedel visited Laugardalshöllin and discovered some treasures there. 7/4/2017 – In the final week of June 1972 the chess world was in turmoil. 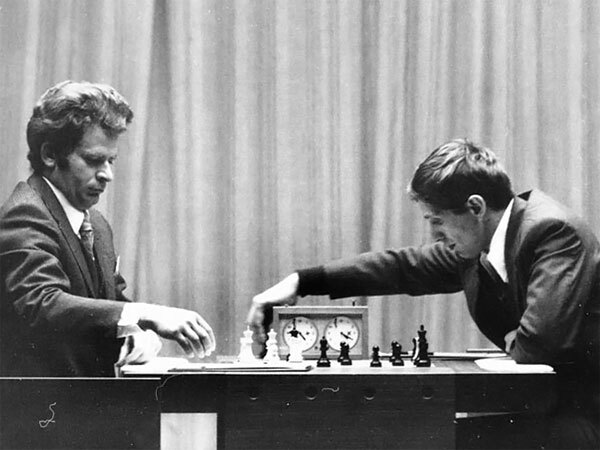 The match between World Champion Boris Spassky and his challenger Bobby Fischer was scheduled to begin, in the Icelandic capital of Reykjavik, on July 1st. But there was no sign of Fischer. The opening ceremony took place without him, and the first game, scheduled for July 2nd, was postponed. 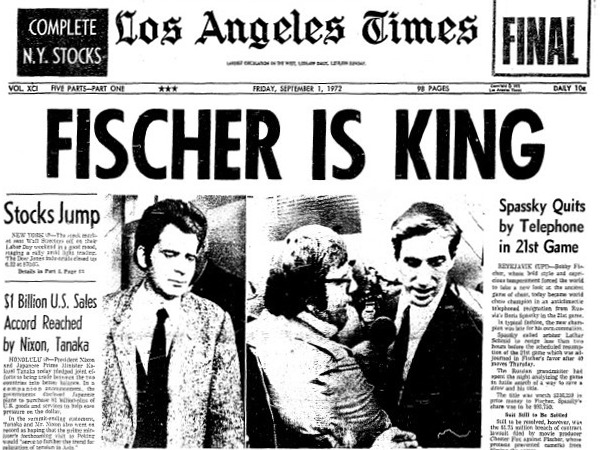 Then finally, in the early hours of July 4th, Fischer arrived. Frederic Friedel narrates. 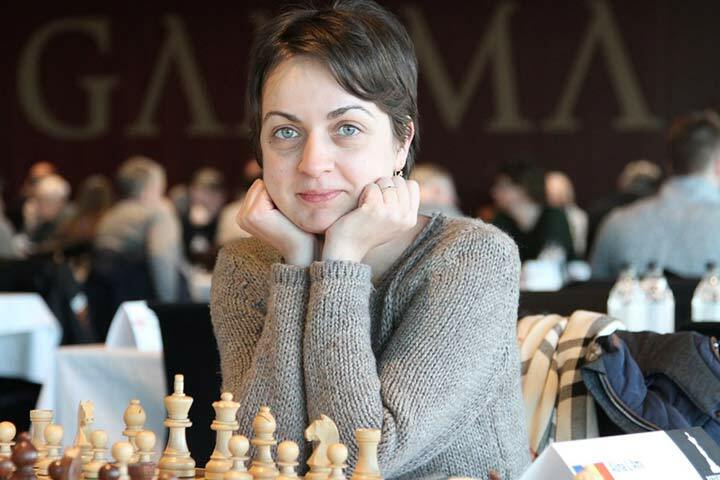 3/30/2016 – With more than 230 participants and many top grandmasters the Reykjavik Open boasted a strong field. 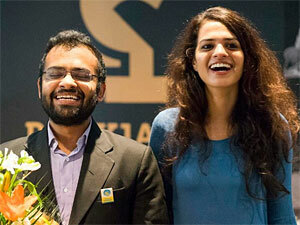 The Harpa Hall, where the tournament was played, was another attraction: the summer smile of GM Abhijeet Gupta and IM Tania Sachdev in the inconsistent cold of the Icelandic capital. In this first part of our in-depth round-up, we bring you an illustrated report with the comments of Abhijeet himself.